Self-analysis should be done along with self-study. Both are equally important. 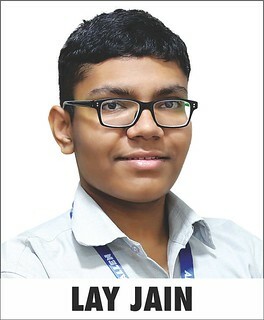 It helps in improving the performance and make your weak areas stronger says, Lay Jain, Classroom student of ALLEN Career Institute secured AIR-9 in JEE-Advanced-2018. He did his schooling from Kota. Lay also said that he made a proper study schedule. After attending his coaching he used to do self-study for at least 6 hours a day. He had a fixed schedule. He did his homework first followed by revision of whatever was taught in the class and gave equal time to all the subjects. Lay further added that his favourite subject is Physics. While taking a break from studies he enjoys playing Table Tennis, reading novels and listening music. He is studying in ALLEN for last 2 years. He told that he got full support from ALLEN and found the environment here so good that he saw himself growing and becoming a better individual. Chitrang Murdia is his role Model. He told that IIT topper of the year 2014, Chitrang Murdia is his role Model. Chitrang is his inspiration. Lay wants to pursue his engineering in Computer Science from IIT Bombay and further wants to go for research. He secured 10 CGPA in 10th standard and 94.4% in 12th standard. Lay gave an excellent performance in Olympiads and various Competitive Examinations. Along with this, he got the gold medal in International Physics Olympiad 2017 and Asian Physics Olympiad 2018. He secured the first position in KVPY-2017. Currently, he will represent India in the International Physics Olympiad-2018. After the operation, it was not possible for him to sit and study, so he started studying lying down. He wants to pursue engineering in computer science from IIT Mumbai. Neel scored 10 CGPA in 10th Standard and 93.2% in 12th standard. Neel told that he didn't have a fixed schedule of study, after attending coaching of 5-6 hours he used to have his meal and then used to self-study. He solved the math problems in his break time. His favourite subject is maths and he enjoys solving maths problems. Apart from coaching he used to self-study for about 8-9hours a day. He used to play video games but after some time stopped doing it. My mom is my role model says, Neelaryan Gupta. His Mother Renu Gupta is Senior Branch Manager in Orientation Insurance. Neel told that his mother takes care of the whole family and she always motivated him to do better. He had learnt a lot from his mother as she is a hard working woman. His father Shankar Gupta is a Property Dealer and is a great source of motivation for him. On Sundays, he used to spend time with his parents and used to study less on Sunday. 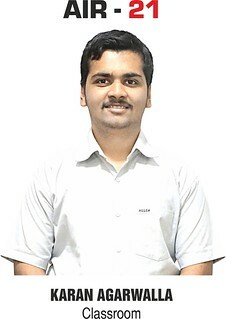 Neelaryan Gupta has been studying in the classroom program of ALLEN Career Institute, Chandigarh. He said I got full support here. Teachers here in Chandigarh are always ready to help me. During my illness, they provided me notes and also solved my doubts. Hard work and studying with a proper schedule is very important to achieve success. If you are studying in a planned manner, you will definitely get success, says Karan Agarwalla who got All India Rank 21 in JEE Advanced. Karan hails from Rourkela, Orissa and is studying in ALLEN Career Institute since 2016. He got 97 per cent in 12th standard and secured AIR- 16 in JEE Mains 2018. Earlier, Karan was also selected for Chemistry Olympiad Camp. Father Kamal Prasad is a doctor and mother Kavita Agarwalla is a Homemaker. Karan said in order to crack a competitive exam it is very important to do a daily revision of whatever is taught in class. He gave equal time to all the subjects. He focused on each and every topic of a subject. 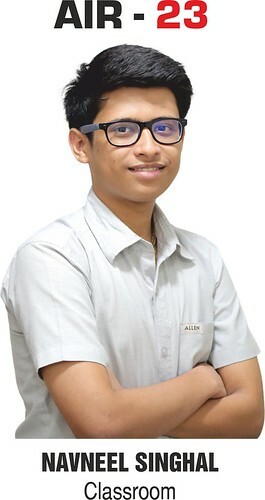 He further added, "At ALLEN Career Institute, I found everything that a student needs to achieve success in a prestigious examination like IIT-JEE. He had an ordinary phone instead of a smartphone." Karan believes that it necessary to take a short break while studying. He used to watch cricket during his break time. He wants to pursue engineering from IIT Mumbai in Computer science. 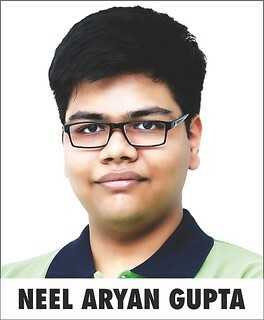 Navneel Singhal, a resident of Delhi who got AIR - 23 in JEE-Advanced, believes that ALLEN's Weekly Test system has helped him a lot to achieve his goal. In addition to six hours of coaching classes, he did self-study for about 10 hours. After daily classes, he used to discuss his problems and weak areas with the faculties. He used revise whatever was taught in the class and prepare himself for weekly tests. His father Ritesh Singhal is a businessman. During his JEE's preparations, his mother Anshu Singhal stayed with him. In 12th standard, he secured 95.2% marks. Apart from JEE Advanced, Navneel has created a record success in different Olympiad. He got Silver Medal in 11th International Olympiad of Astronomy and Astrophysics held in 2017 and won Bronze Medal in the Maths Olympiad held in Russia. Kota is really an educational hub because there are thousands of students whose dreams are fulfilled in this city. This city is meant for study. You will find Teachers and students everywhere. The atmosphere of the Kota is very positive, which proves to be good for any student. Faculties at ALLEN are always there to help you. Weekly Tests and online teat series has helped me to perform better.